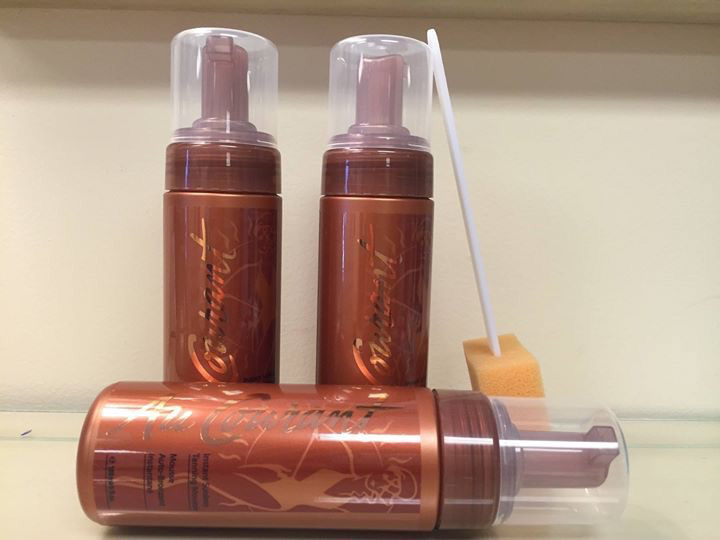 Au Courant Sunless Tanning is available in either mousse or cream form. Visibility has offered this wonderful product since 2003. It is a time-tested process that yields a beautiful,healthy tan with no sun involved. Application is quick and easy - Au Courant dries quickly, evenly, richly. It lasts on the skin about as long as regular sun session lasts. Come and have Carie demonstrate how it works! Tizo is perfect for all skin types to protect against the sun’s damaging rays. This sun screen with SPF40 is not greasy or oily and is a sheer, tinted facial mineral sunscreen that offers cosmetically elegant sun protection with a matte finish. We have samples available for you to try! Camille Beckman creams are proudly made in America and enjoyed by everyone. Visibility has three scents Camille, Vanilla, and Lavender. We have rich hand cream and silky body cream to luxuriously pamper your skin. These creams come beautifully packaged with tiny ribbon roses on top! Come in and sample some today. Visibility offers the Skinni Belt - the fabulous belt with NO buckle visible. It gives you a smooth look and comes in S, M, L in black, navy, khaki, stone, and white. The Skinni Belt will help you look slim, finished and fabulous all day. It’s genius! You can thank us later.